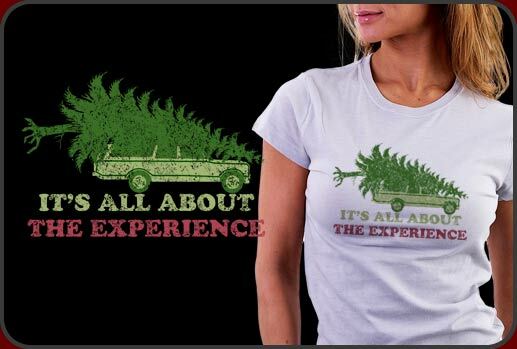 Christmas Vacation Shirts:: Funny Christmas Vacation Shirts Here! Hilarious Christmas Vacation Memorabilia T-shirts Rock! Christmas Vacation is one of the world's favorite holiday films of all time. Unique Christmas Vacation Shirts celebrating one of our most favorite holiday films of all time. Christmas Vacation is arguably the funniest holiday film ever made. The movie follows Clark Griswold as he attempts to create the perfect Christmas for his family an falls disasterously short of doing just that. Our Christmas Vacation Shirts feature a design remembering the scene in the movie where the Griswolds trek out to the wilderness to find the Griswold Family Christmas Tree. 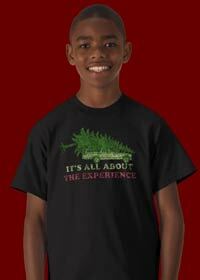 Well, just watch the video in the right corner to see why we created this particular Christmas Vacations Shirts design. Our Christmas Vacation Shirts print beautifully on either light or dark t-shirts and we also have loads of other cool items available with our Christmas Vacations Shirts design like buttons, tote bags and hats!